The meal plan hasn’t really been something I’ve been talking about, but we’ve still been cooking it up. I don’t always eat the meals for dinner, it might pop us as a lunch thing, but at least it gets eaten, right? I love Indian food. My town only has one place to eat Indian food but I don’t always make it out. This week I decided it was time to try some Butter Chicken in the instapot. Spoiler alert: the chicken turned out great. I used both chicken breast and thighs. 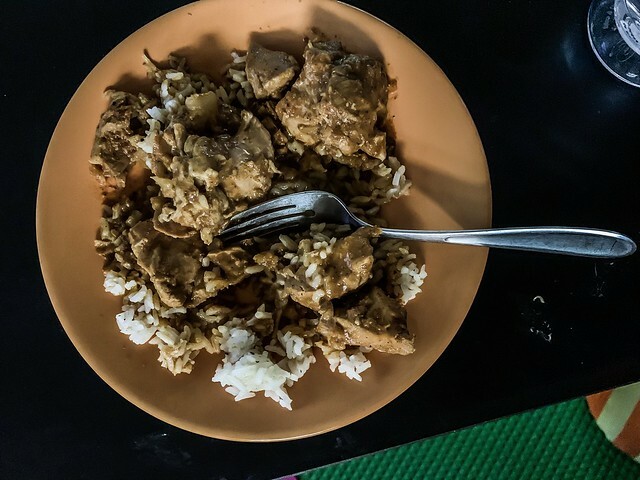 And it was served with a side of coconut rice and green peas. It’s been my jam all week. Chicken carnitas: These could be great for chicken tacos or just taco bowls. I’m a huge fan of the taco bowl because it’s easy to put together and you can load up on the veggies. Buffalo Chicken Lettuce Wraps: I’m not sure if I use this as a lettuce wrap or just a regular wrap. This would be great for a filling lunch instead of a traditional sandwich. Honey sesame chicken: Sometimes I just crave some Chinese food but want to know what exactly is going in it. This a great way to get it done quickly and have a huge batch of it. Lemon garlic chicken: I love dishes like this because it’s easy to serve up a side of broccoli and grain to have a quick meal. And nothing says spring like a lemon, so this is a great dish to bring in the new season. 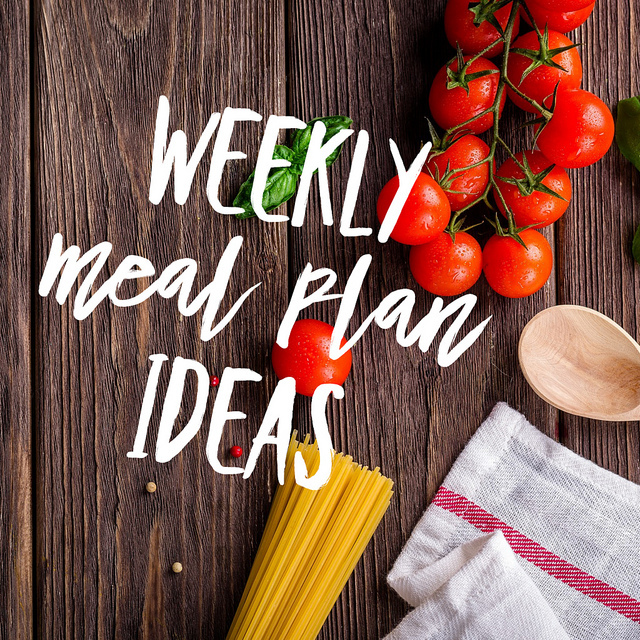 I hope you enjoy the ideas for meals for the week. It’s always hard to come up with new ideas and get stuck in ruts. This has happened to me a lot over the year. This is a great way to make subtle changes to your menu. You never know, there might be something here that you love. Do you have an instapot? What are some of your favorite dishes to cook in it?